﻿ LUX* Saint Gilles Reunion. JIMAT di Agoda.com! Ada soalan mengenai LUX* Saint Gilles? Terletak di Saint Gilles Les Bains, LUX* Saint Gilles merupakan tempat menarik untuk memulakan pengalaman di Reunion dan kawasan sekitarnya. Hanya sejauh 27 km, hotel 5-bintang ini boleh diakses dengan mudah dari lapangan terbang. Juga terletak berdekatan adalah Glass-Bottom Kayak, Pantai L'Hermitage, Le Jardin d'Eden. Perkhidmatan hotel kelas pertama dan kemudahan yang menentukan pengalaman LUX* Resorts menanti anda di LUX* Saint Gilles. Hotel ini menawarkan khidmat bilik 24 jam, Wi-Fi percuma semua bilik, pengemasan harian, khidmat teksi, fasiliti tetamu kurang upaya untuk memastikan tetamu menikmati keselesaan yang terbaik. Alami bilik dengan kemudahan berkualiti tinggi sepanjang anda menginap di sini. Sebahagian bilik menyediakan televisyen skrin rata, internet wayarles, internet wayarles (percuma), bilik larangan merokok, penyaman udara untuk memudahkan tetamu berehat dan kembali bertenaga. Senarai lengkap kemudahan rekreasi boleh didapati di hotel, termasuk pusat kecergasan, padang golf (di lokasi), kolam renang terbuka, menyelam, memancing. Apapun alasan anda untuk melawat Reunion, LUX* Saint Gilles adalah tempat yang sempurna untuk percutian yang menyeronokkan dan menarik. Satu kanak-kanak satu malam : € 0.54 dari 3 hingga 11 tahun. Kanak-kanak 6-11 tahun akan dicaj EUR 31 setiap kanak-kanak semalam termasuk katil tambahan dan half board. Very disappointed, reception was not very helpful and warm...but maintenance staff Jonny helped us with the request. We walked into a room with broken blinds and not a very clean bathroom. We requested from reception an international adaptor...their reply was that they didnt have the right one for us but on request to Jonny he got it....hotel is a 5 star location but need to be a 5 star standard n service!!! Everything turned out to be generally well until our stay was spoiled with film shooting staff who invaded the hotel premises. We were also surprised to see that the reception asked us to settle the room bills again when we had paid everything through Agoda before arrival. Great location, and there's a staff member who makes you feel like a valued guest. Very disappoining overall. From 40 minutes waiting to check in to our 'Deluxe' room to find a tired worn out room, moldy bathroom tiles, blocked waste water pipes, badly maintained balcony in need of repair and new paint. Outside the private garden and beach were littered with plastic waste and a homeless guy who'd set up camp. The 'private coral beach for snorkeling' is a mess of dead coral which does not appear to benefit from the extra 'environmental benefit tax' we were encouraged to add to our bill. Seriously overpriced and hopelessly overrated. Breakfast, bed, concierge extremely helpful. Overall we were very impressed with the hotel however were disappointed with some items, i.e. no milk (only 'milk in a tube') and nowhere to position cases for unpacking. Also poor maintenance, i.e. loose fittings in bathroom. The attention to small things is important and makes a big difference. 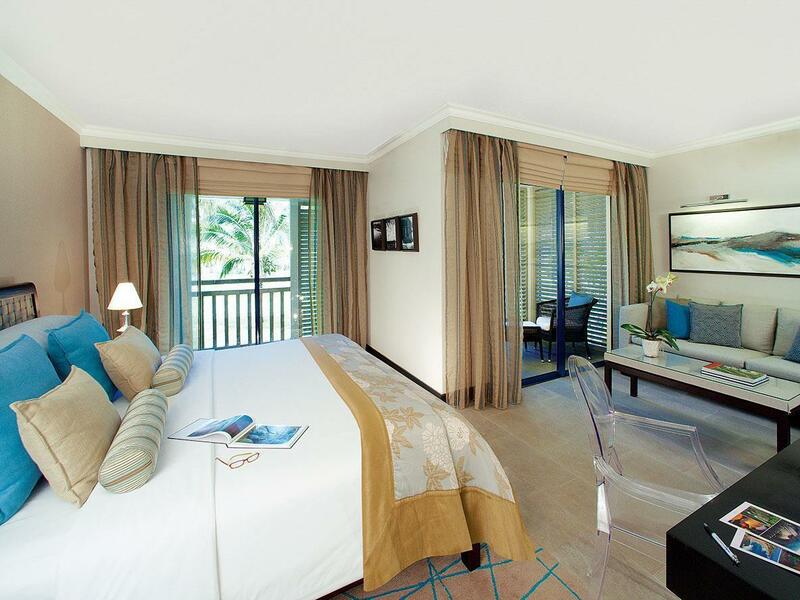 A week prior to our stay in La Reunion, we stayed at the LUX Belle Mare in Mauritius. 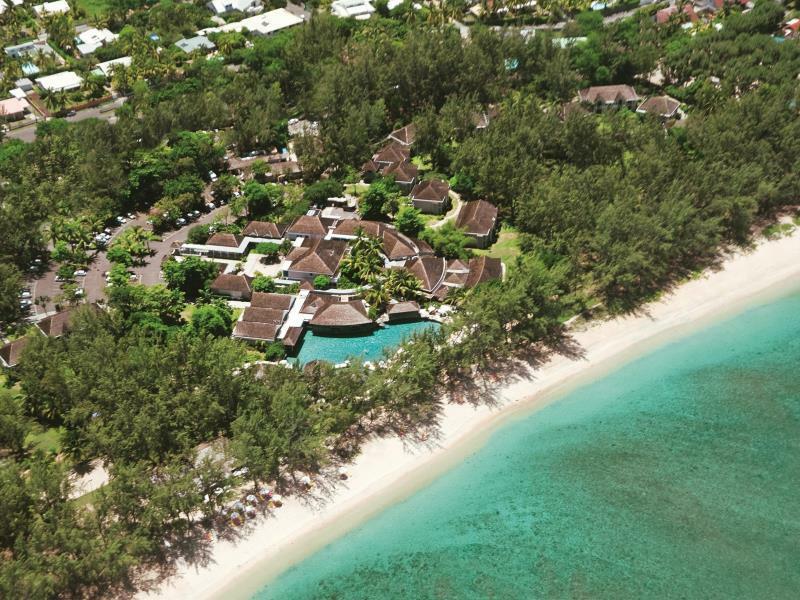 Belle Mare was a true 5 star hotel with excellent food, fantastic staff and extremely pleasant surroundings. LUX La Reunion was a complete disaster compared to Belle Mare. Besides one or two exceptions, the staff couldn't really give a damn about you. After check-in we were shown a damp room which stank of mold. The whole hotel seems to be suffering from this disease because of a lack of ventilation in the rooms. Truely disgusting. Food in the neighbourhood is much cheaper and better in quality, breakfast is overpriced and a very noisy, communal'experience'. As much as I recommend LUX Belle Mare, I truly do not recommend spending your money on LUX La Reunion. There must be better places on the beautifull island. Location is great, in front of the lagoon. However the room is not that big. There was no toothbrush/toothpaste in the bathroom, and the double bed has one mattress but 2 bed base joined together, meaning it's totally uncomfortable to sleep in the middle of the bed when alone. There was no complimentary water either in the room. For the price, i find it a bit low in term of services. Our stay at the LUX was wonderful - the hotel is just in of front of one of most beautiful beaches I have ever seen, there is large kids-friendly pool, staffs are professional and friendly. Only thing we were not happy with was wifi connection at our room was very slow but everything else was great, true 5* experience! The hotel is a resort kind, with constructions like bungalow spreaded throgh the courtyard. Although it is a five star hotel, it is not luxury or sophisticated. We could say it is somewhat simple. Good breakfast! The concerniege is very friendly and will help you to arrange the best for you. Due to the lagoon protection, the beach is calm, with an enjoyable white sand strip. The ideal place to rest in the shadow of the trees. I got a great deal on this 5 star hotel. It was new and had lots to do but the service was not amazing and there was no kids club as they advertised. A nice place to stay, the facilities are fine, the staff ever willing to please. Right on the beach with plenty of activities available. It's a long ride from the airport and cheaper to get a hire car than the taxi, as there is no shuttle bus. Eating at the Resort will escalate your expenses - we found local places were just as good but heaps cheaper. We stayed in the standard room, which was perfectly good for us. 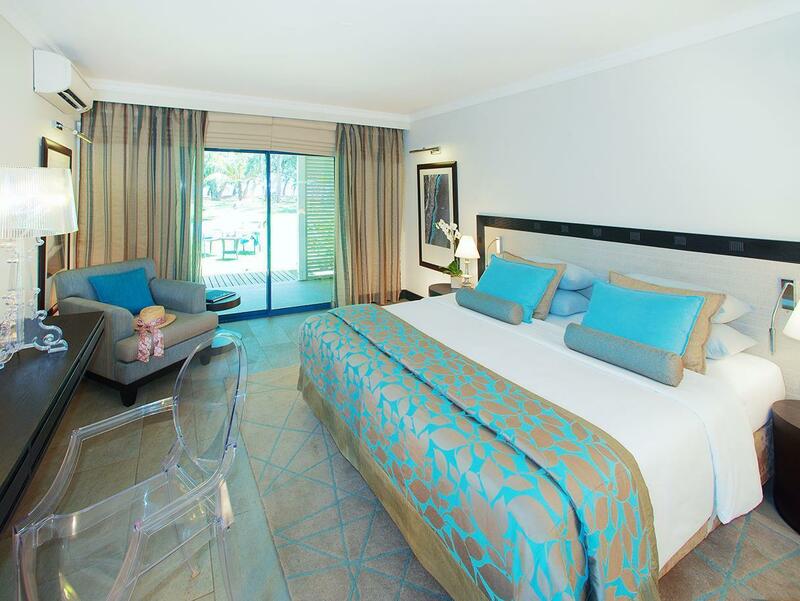 Spacious, nice bed and good bathroom. The hotel personel was friendly and service was very good. The restaurants are supposed to be very good however, during our stay most of them were closed due to the fact that according to local standards it was winter(still lots of sun and warm temperatures though). Basically, the only restaurant that was open was the buffet restaurant, and that was pretty good. Nice food, bit pricy, but good service. The surroundings of the hotel are very beautiful. The beach is amazing with a nice coral reef right in front of you. Lots of fish and more closely to the waves (about 150mtrs out) even stingrays. 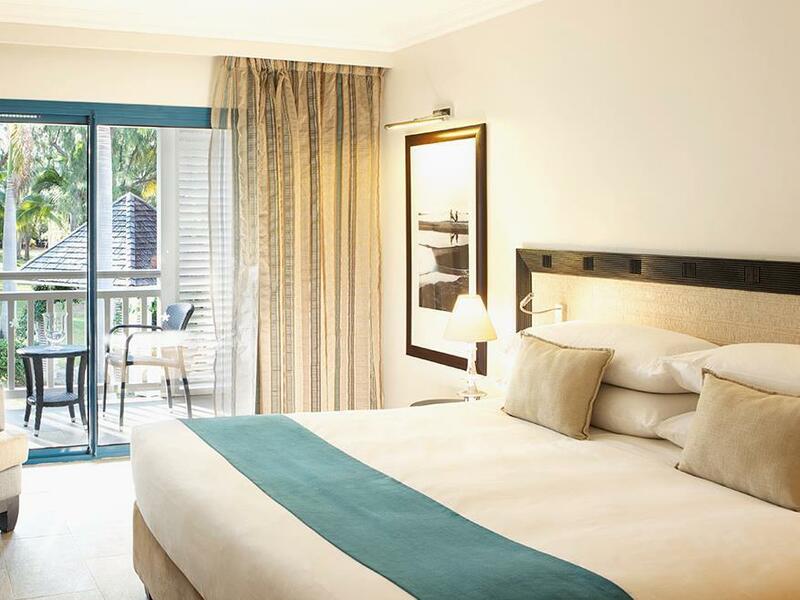 The hotel is absolutely a good start or end of your La Reunion around-the-island trip. we found the food at the hotel a dissapointment,and expensive, however the breakfsst was excellent, check your bill, because they add breakfast x 2 per room at euro to all bills, however no problem to have the charge removed, so pay attention. Even access to the place is a hectic process, the locals do not even know how to guide you as the Lux means nothing to them... it is the (old) grand lagoon hotel. The beach compared with those in Mauritius is a laugh! Part of the wings has been renewed (thanks God!!) but the room is nothing special (small bathroom and toilet with no space for the opened door, bath tub too high). The installations are a bit tatty even the landsaping of garden and recreational areas are not up to a 5 star standard. Order a just a simple (half) bucket of ice and the charge is 9 Euros (because of distance to the room!!! ).- We had a flight at 5 p.m. and the checking out is at 11:00 a.m. We were allowed to hang around but in the meantime a coffee and and cup of tea was charged at 9 Euros. We were not impressed by the standards of the place and it is a shame that Reunion island does not have better choices!!! Lux in Mauritius should be a little ashamed of this "par"!! Very nice hotel - great access/proximity to the beach and the pool for afternoon swims is also good. Rundum gelungen und entspannend, ohne Probleme jeder Art. keine Probleme aufgetreten, daher war der Urlaub o.k. abends keine Live Musik, kein Gratis Wasser im Zimmer, wir haben nicht mal einen Plastiksack für unsere nassen Badesachen erhalten, beim Auschecken hatten sie das Frühstück, was wir nicht genommen hatten, ohne uns zu fragen auf die Rechnung gesetzt.